Ready for work. Whenever you are. Microsoft® Office 365 is cloud productivity designed for you—whether you’re one professional or a small business. 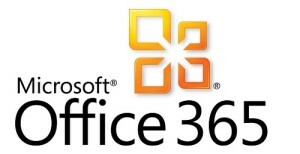 If Cloud Computing is something you are interested in yet have concerns about then Office 365 may be your best Cloud Computing option. Please contact Pratt Computing Technologies at info@prattonline.com or call 865-693-0900 for more information, to find out about a free trial and to learn how you can get a cloud computing solution that’s built for your organization.